Sims, Edward H. The Greatest Aces A Study Of The Fighter Forces Of The R.A.F., Luftwaffe And U.S.A.A.F. In World War II. Plus Minute-By-Minute Re-Creations Of The Most Thrilling Missions of Their Top Aces. Richard Ward. North American P-51B/C Mustang in USAAF Serice, Airco-Aircam Aviation Series #5. From Yeager to The Spitfire, Mustang and Kittyhawk In Australian Service, from	History Of Marine Corps Aviation In World War II to Reap the Whirlwind, we can help you find the military aviation books you are looking for. As the world's largest independent marketplace for new, used and rare books, you always get the best in service and value when you buy from Biblio.com, and all of your purchases are backed by our return guarantee. 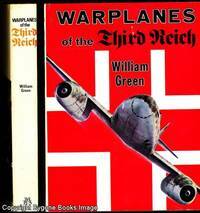 Warplanes of the Third Reich by William Green contains details of hundreds of German planes used during World War Two.